Fania Chapiro was born in 1926 in Indonesia (the former Dutch East Indies), on the island of Java, in a carefree musical environment. She had a Russian father, her mother was Dutch. Both parents cherished the exceptional musical talent of their only child, making many sacrifices to support this. Fania was half-Jewish and that would affect the course of her career. When she wrote in her diary in early 1935: “I have decided to become a composer and a wonderful pianist,” she could not expect the war would get in her way. Despite everything, she persevered; her efforts culminated in a beautiful career as a pianist and composer. Father Naum Chapiro was a violin teacher and Fania, just a toddler, tried to play with his violin. But soon it became clear that another instrument was looming. She put her heart and soul into the piano and already at the age of six, concerts of the young prodigy were featured in the newspapers. In those days, musicians often included Java on their tours. 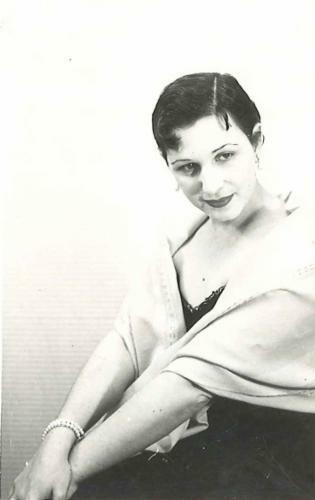 The renowned pianist, Benno Moiseiwitsch, present at one of Fania’s concerts, was convinced that Paris was the place to be, if she wanted to develop her exceptional talent. Fania was still just a child when her parents decided to take this huge step in 1934. The pianist Lazare Lévy, a kind and sympathetic personality, became her teacher, and this was the beginning of a lifelong friendship. Many of Levy's piano students later had successful careers. He firmly believed in Fania's great talent although she was deterred by setbacks encountered along the way. Her theoretical skills appeared to be inadequate at that time, and at the conservatory she had to work hard to pass the exams. Lévy asked her to compose something for the “sight-reading class,” which she did. But playing the piano was her core objective and her father tried eagerly to introduce his daughter into the Dutch music world. Fania and her parents spent every summer vacation in the Netherlands with family. Then suddenly in 1939 there was literally no turning back. The outbreak of the war forced them to move into an apartment in Bezuidenhout in The Hague. Chapiro could no longer exercise his profession. To avoid deportation, he went into hiding in the province of Noord-Brabant. Fania was still too young to realize what this all meant. She was fourteen years old, but as a musician, expected to become a member of the Kultuurkamer, a regulatory cultural agency installed by the German occupying forces during World War II. She refused, with the consequence that performing was over. But music was everything to her; she was “possessed” by music, according to her diary. So she continued playing at underground house concerts in and around The Hague. This clandestine practice actually helped many musicians through the war. During the Dutch famine of 1944-1945, Fania performed only in exchange for food. Yet the exclusion caused by the war seemed to have a positive effect. Because she didn’t have that many performances, her passion for music had to be channeled in another direction. Musical thoughts and ideas began bubbling up and finally triggered her to start composing. She took lessons with the renowned Sem Dresden, “Semmetje” in her diary. The two got along very well; Fania showered him with compositions, mostly for piano and some for clarinet. She also focused on writing descriptions of her favorite compositions. For example, Beethoven's Ninth Symphony, because in her opinion, “symphonic works are the highest musical expression of a composer.” In her diary she wrote: “I feverishly search for subjects which reflect my heart and soul.” Aside from exploring and analyzing works of composers she admired, Fania wrote passionately about her own piano playing, her successes and her girlfriends, who were very important to her. The war years were an ordeal for the Chapiro family as well as for her teacher Sem Dresden. Two years passed before Fania could submit a pile of new compositions to him in 1944; works for piano, sonatas for violin and piano, and cello and piano. Dresden was enthusiastic about her music and she continued composing diligently. Especially for musicians with whom she frequently played, like the flutist Cor Romijn. She dedicated a Sonatine for flute and piano to him, and cellist Max Orobio de Castro received a piano trio. 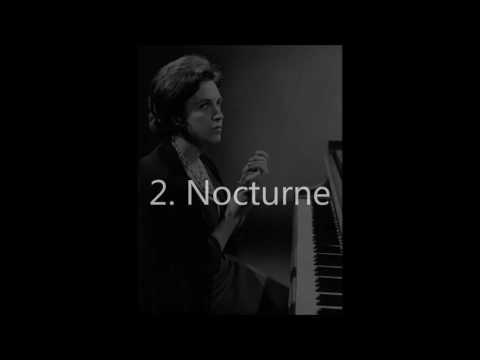 Unsure about her Fantasy and Fugue, she discussed this work with a professional organist. She may have appeared very confident, but internally she applied self-criticism when necessary and was a perfectionist in regard to her own work. In February 1945, while Fania was practicing the piano, a bomb fell on Bezuidenhout. A fortnight later another bomb shattered every window of their home. Her mother decided to leave and with a barrow they walked to Voorburg, where they could stay in the Perkstraat. On March 3rd, the so-called “accidental bombing” occurred, and the entire Bezuidenhout neighborhood went up in flames. The family’s valuables, which they had left behind in the Mariastraat, were instantly destroyed. In her diary she wrote “the biggest disaster was the loss of most of my compositions.” The works from this time, especially for piano, excel in virtuosity and prove that she applied all her technical skills with great enthusiasm. These works reveal a preference for traditional compositional forms like sonatas, minuets, preludes and fugues. Her style was grand, almost reckless, and after all, she was not even twenty! When peace finally arrived, Fania wondered if she had achieved enough during the war. Although she had worked with unbridled passion, she felt that she could have done more. Immediately after the war, concerts were organized everywhere and Fania was in demand as a soloist. And she continued composing. Now she lived somewhere else in Voorburg, very comfortably in a former nsb-home. An interest in her Jewish roots was awakened; she attended lectures in Leiden on Zionism and Jewish emancipation. She also joined the Jewish Youth Federation and put her heart and soul into the Jewish community, taking language lessons, attending courses and meetings. But despite her successful concerts and other accomplishments she wanted to leave the Netherlands. She no longer saw a future for herself here and felt that she need to get out into the world. Finally on December 1,1948, she and her parents left for America. After a year, she was tired of Bennington's busy life; she dreamt of returning to the Netherlands. It took until 1953 before she would leave, and on the way she first visited her beloved teacher Lévy in Paris. While there, she made some recordings and also met composer George Enescu. In the meantime her private life was in turmoil; she was engaged to a charming and musical engineer, Ernst Goldstern, from Delft. He was an old friend, but she wasn't yet ready for marriage. Fania settled again in the Netherlands and immediately started a concert tour. Yet in that same year, she married Ernst and that changed her life drastically. Now, with a husband a child and a mother-in-law to take care of, family life, instead of music became first priority. However, despite this situation, she kept fighting for her music and picked up composing again. Despite that she was constantly lobbying for opportunities to perform, her talent was recognized. In 1956, she was appointed head piano teacher at the Music Lyceum in Hilversum and in 1981, she was knighted for her merits as a pianist. In the following years, a number of strong compositions appeared; a Sonata for cello and piano, the third part was dedicated to "à M. Prokofieff", a Sonatine and a Suite for piano and a Sonatine for flute and piano, published by music publishing house Donemus. Her style was now more complex, with much use of chromaticism (semitones). The piano works remained technically very challenging. She ended the Sonatine with a thunderous Toccata, and a work for four-handed piano contains exuberant dances like the Habanera and Tarantella. Occasionally her music was performed by others and sometimes she included it in her recitals, but her career as a composer never really took off. Then with her new love, the fortepiano, she quickly created furore and her second career was launched on this instrument. It is difficult to say how many works Fania ultimately composed. A large part of her manuscripts consists of sketches, sometimes just a few measures up to half-finished works. In 1944, she wrote about this: "[...] because how many compositions have I started on and left unfinished; that what remains are quick sketches and a huge array of ideas. Simply countless.” Due to her enormous drive, numerous completed compositions have fortunately been preserved. During the war she composed a lot, using traditional forms and a boisterous virtuosity. The years following her American period seem to be the most productive; her works mature. Yet most of her works are undated, which makes it difficult to exactly determine when and where they were written. Strikingly, in 1988, a completely different musical idiom appears in her art songs. Chromaticism remained, yet there was plenty of stillness in her music. In a letter to her publisher Donemus, Fania explained that Emily Dickinson's poems had “affected me by their timeless, unrealistic atmosphere.” A few years later, she died at the age of 68 in her hometown Hilversum, definitely remembered as a composer and a magnificent pianist.